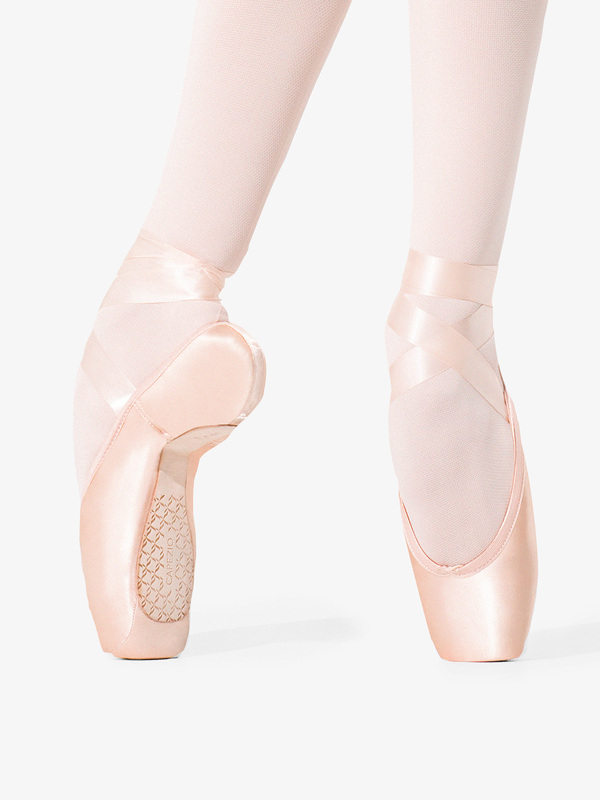 Performance ready "Donatella" pointe shoes feature a half skived #3 shank, narrow heel curve, pink satin, sculpted low vamp with a slight u-shape to flatter the arch, interior lining that prevents slipping, moderate box toe shape, elastic binding and drawstring, feathered full wing-box lateral support, hand-flattened low crown, and a thin reduced length leather sole to eliminate excess at the heel when on pointe. Ribbon not included. If i wear a 7.5w Capezio aria what size would i generally be a good fit for donatella? We would suggest getting professionally sized if you are unsure on fitting on our sizing chart. This information is shown as a guide only and not a guarantee. Actual fitting may vary.